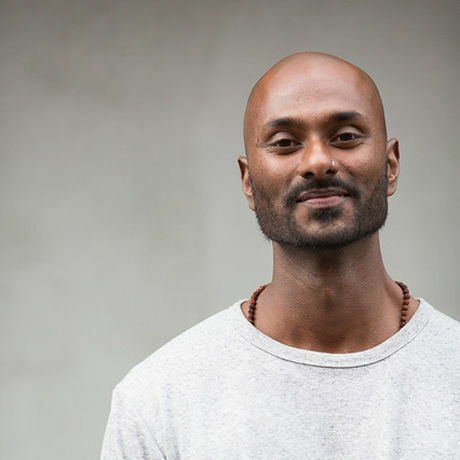 Manoj Dias will explore how pioneering an industry has inherently lead to pioneering himself and how meditation and mindfulness, as practices, can help us keep exploring and moving forward even when it seems as though everything else is telling us to turn around. Manoj Dias is an animated speaker, humble teacher and always a friend. He knows that Theravada Buddhism is too vast and wise for any single person to own. So, he’s learnt from many of the great spiritual teachers of our time including Channa Dassanayaka, Sharon Salzberg and Jack Kornfield. Once tethered to a life of self-management, rather than self-awareness, Manoj has been transformed by every breath of this practice, knowing that awareness leads to healing, from the inside, out. Through mindfulness and meditation, he’s helped hundreds of people trade mania for pause, so that they may live fearlessly in honour of a happier and more meaningful life. As co-founder of A—SPACE – Australia’s first multidisciplinary meditation studio – he walks this truth en-masse with a family of one mind. Whether he’s teaching through words or the silence in between them, Manoj’s great love for ancient wisdom and contemporary science is present in every encounter. Sometimes humorous, always compassionate and forever a student, Manoj is a warm, empathic and spirited character who connects with beings of every kind.